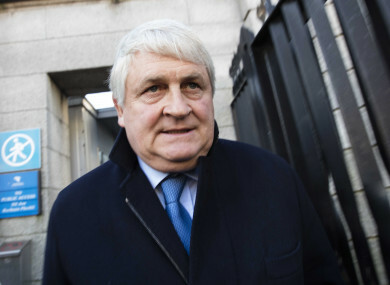 THE COURT OF Appeal (COA) has dismissed Denis O’Brien’s attempt to find out the identity of a person who commissioned Red Flag Consulting to compile a dossier of material about him. O’Brien had appealed against the High Court’s refusal to order the public relations and lobbying firm to reveal the identity of the client. The billionaire businessman claimed a dossier about him compiled by Red Flag for a client was part of a campaign to defame him and damage his reputation. In its ruling today, the three-judge COA noted: “In October 2014, the plaintiff, Mr Denis O’Brien, came into possession of a USB memory stick in circumstances with which the court is not concerned so far as this discovery appeal is concerned. Red Flag Consulting denies O’Brien’s assertions. The firm counts former Independent News and Media (INM) CEO Gavin O’Reilly as one of its directors and Karl Brophy, a former INM journalist, as its chief executive. O’Brien is the chief shareholder in INM. The COA agreed with the previous rulings in the case. It also dismissed a cross-appeal by Red Flag against orders requiring it to disclose certain documents that could reveal the client’s identity. Red Flag’s client was entitled to have the dossier prepared, even if this was done for the basest of motives. That in itself is not sufficient to establish a conspiracy on the part of that client or to demonstrate that Red Flag was itself a co-conspirator with the client. Email “Denis O'Brien's appeal over Red Flag dossier dismissed ”. Feedback on “Denis O'Brien's appeal over Red Flag dossier dismissed ”.